After being jilted by her lover, Carla is devastated and intends to seek revenge. She joins a self-help group for people in similar situations and there she meets three women who have been betrayed or abandoned by their husbands. 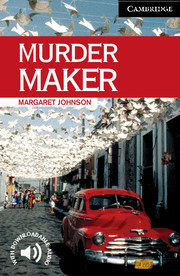 Carla decides to rehearse her revenge on these men and starts by buying a ticket to Cuba.Paperback-only version. Also available with Audio CDs including complete text recordings from the book. Contains adult material that may not be suitable for younger readers.